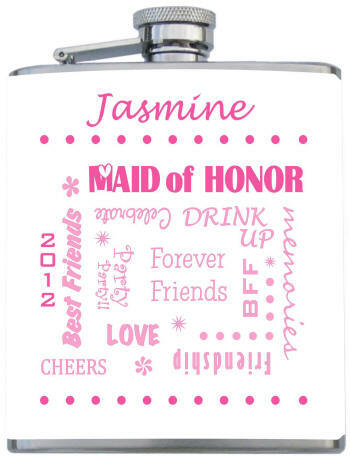 Wrapped in a white background, descriptive words of a Maid of Honor are scattered on the front in pink. This 8 oz. wrapped flask can be personalized with a name at the top.